Starting today it’s a busy weekend of fun, food and drinks with these festivals to help you celebrate summer in Toronto at it’s finest. 1. Celebrity Stage: featuring everything from The Next Star’s Rebel Coast to the finalists of the Miss Asia Toronto pageant, from the cast of Spamalot to an Expendables 3 stunt show. 9. Win the Trip of Your Dreams to Greece and Saint Lucia! 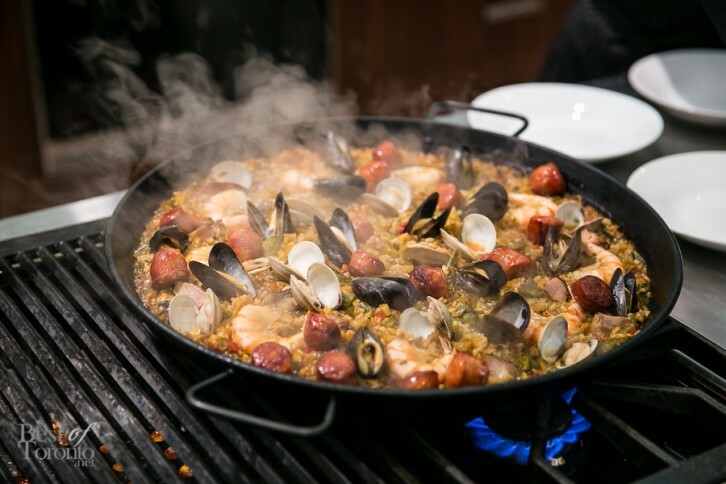 The second annual Pan American Food Festival – the only festival in the world that celebrates the best food and culture of the Western Hemisphere – returns to Toronto. This year’s festival features a roster of impressive chefs, fun food competitions and entertainment for the whole family. Dobro Jesti, Gorilla Cheese, Pizza Settecento, Fidel Gastro, Mr. Corn, Smoke’s Poutinerie, Boreal Gelato, and more. On August 9th at Toronto’s 99 Sudbury, join Absolut Vodka for their biggest party of the summer. Come for the intersection of art + technology, stay for the complimentary cocktails and music from Q-Tip and Theophilus London. New Balance X Capsule Toronto collab: "Canadian Tuxedo"